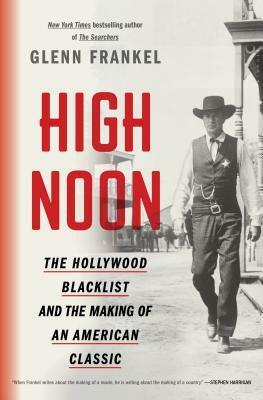 Yet what has been often overlooked is that High Noon was made during the height of the Hollywood blacklist, a time of political inquisition and personal betrayal. In the middle of the film shoot, screenwriter Carl Foreman was forced to testify before the House Committee on Un-American Activities about his former membership in the Communist Party. Refusing to name names, he was eventually blacklisted and fled the United States. (His co-authored screenplay for another classic, The Bridge on the River Kwai, went uncredited in 1957.) Examined in light of Foreman's testimony, High Noon's emphasis on courage and loyalty takes on deeper meaning and importance. In this book, Pulitzer Prize-winning journalist Glenn Frankel tells the story of the making of a great American Western, exploring how Carl Foreman's concept of High Noon evolved from the idea to first draft to final script, taking on allegorical weight. Both the classic film and its turbulent political times emerge newly illuminated.